A little while ago, when I hosted the Sparkling Soiree event, we were sent a gorgeous Burt's Bees gift set to give to all the attendees. I ended up with one as well and I've only recently gotten around to actually using it. The gift set comes with three random lip balms and a beautiful little pouch to carry them all in. I've had a hard time finding this set online, so it may have been a limited edition kit. A adore the little coin pouch. It's the perfect size for a few coins and a lip balm. It's also big enough for me to put a few credit cards in as well, so it would be a great little pouch to take to a party to slip into your clutch. The three flavours I received in my gift pack were Pomegranate, Peppermint and Mango Butter. My boyfriend grabbed the Peppermint lip balm instantly, and claimed it as his. I did get a chance to use it a few times before then, and it was amazingly delicious. As it contains peppermint, it left a nice tingly sensation. I found the the Mango Butter to be the most nourishing of the three, so I've been using that one non-stop since I opened it. It makes my lips feel incredibly smooth, whilst also tasting amazing. The Pomegranate was also really lovely, and kept my lips feeling smooth, however the taste and scent may not be to everyone's liking, so I would recommend having a sniff of this one first before you buy. The balms themselves contain beeswax; obviously - as well as coconut oil, sunflower oil and vitamins which makes jam packed with goodness. These lip balms are one of their most popular products; one of their main selling points being that the tube is actually made of recycled materials, which is really great to know as well. These lip balms also come in a few other flavours, including coconut and pear, pink grapefruit, honey, and acai berry. I'm particularly interested in trying out the pink grapefruit, as I can imagine it would smell and taste delicious. 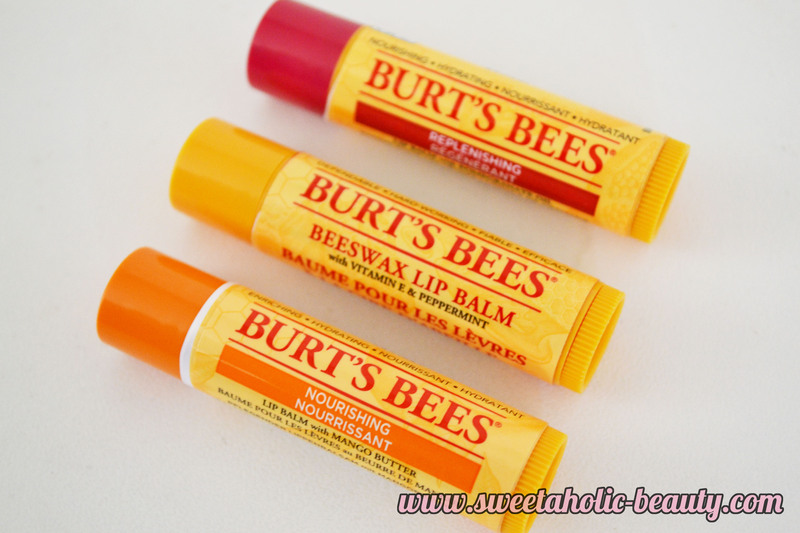 I was super impressed with the Burt's Bees Lip Balms. 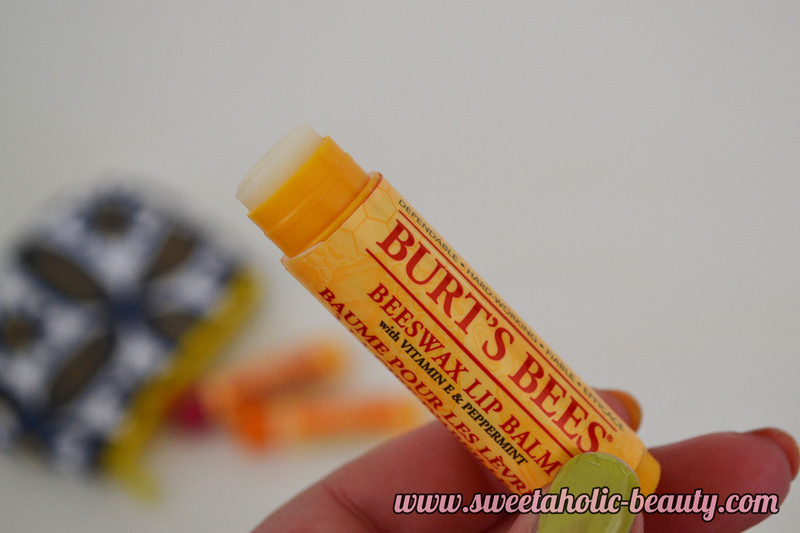 I've only tried a handful of things from Burt's Bees in the past so I wasn't overly sure what to expect. I feel like some of their products are hit and miss, but these lip balm are definitely hits. I can't wait to try more of the flavours! 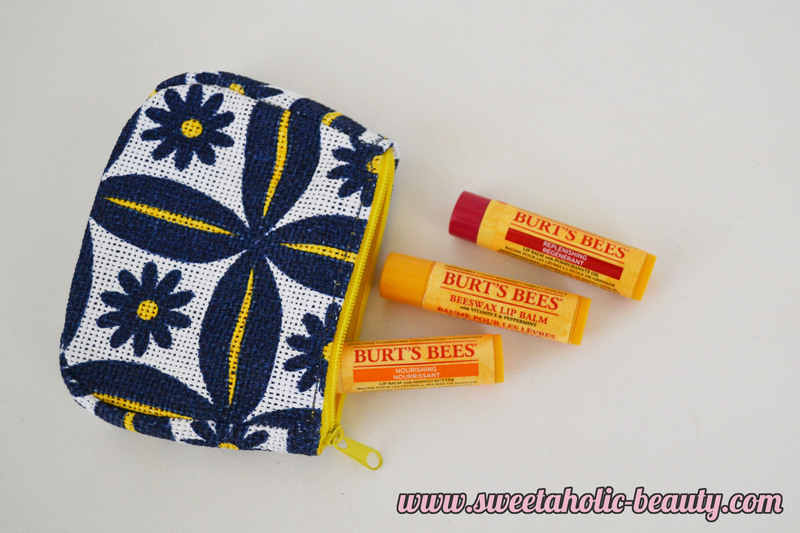 Have you tried any of the Burt's Bees Lip Balms yet? If so, what are your thoughts? Which flavour sounds like your type of lip balm? Product was gifted for the Sparkling Soiree event. This looks so cute! I love the look of that purse! The only reason I don't like their products is because of the mint and menthol they have in them. They set my lips on fire! Ooh Mango Butter sounds delish. These sound gorg! 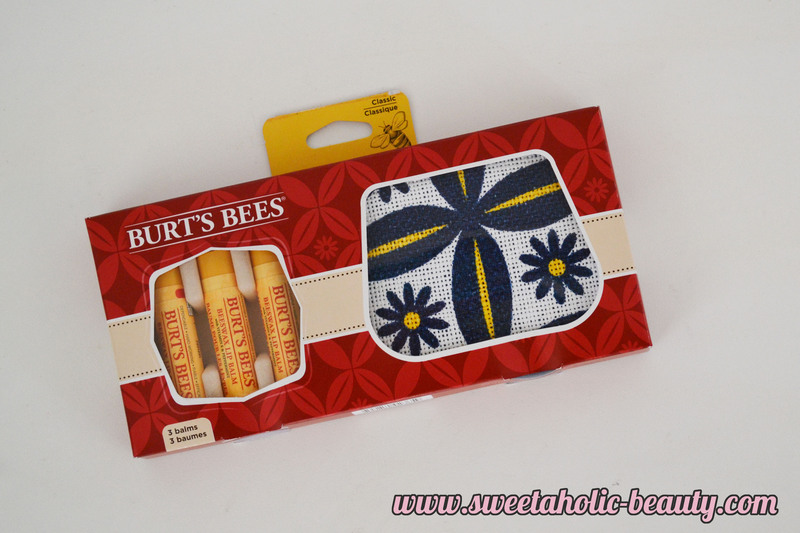 I actually haven't tried anything from Burts Bees as of yet, but do really want to!